Two of the most popular fruits used in Indian pickles are Mangoes and Limes - and our Mixed Pickle gives you the best of both worlds. A combination of these juicy fruits with the rather more exotic Karamda (a sour, green Asian fruit) with authentic spices. 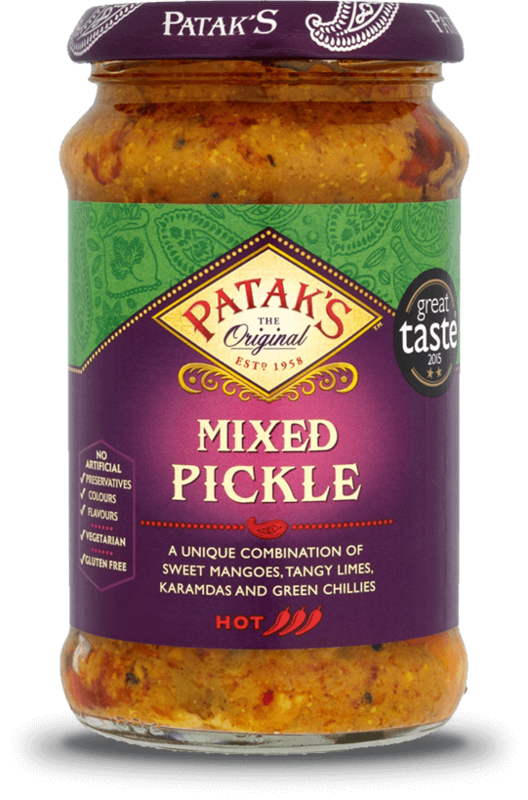 Tastes fab with your favourite curry or as a delectable addition to an everyday salad or sandwich.